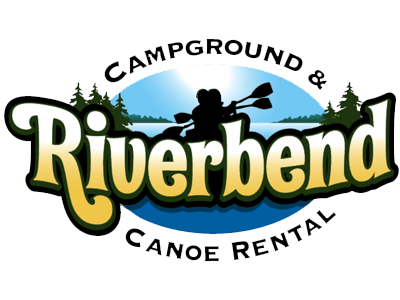 Riverbend Campground sits on over 30 acres of wooded property along the Scenic Rifle River. RIVERBEND is open from May 15th to October 15th. (weather depending) We have approx. 100 campsites to choose from. We offer sites with water and electricity that overlook the Rifle River. We also have water and electricity sites backed up to the woods for more privacy. We have sites with electricity only that are surrounded by trees with a stream running behind them. If you want a more rustic experience, we also have sites that don’t have any utilities at all. All of our sites are perfect for RV camping and/or tent camping! All sites include a campfire ring and a picnic table. Our bathhouse is cleaned many times every day and our showers are 100% FREE to all of our customers. We also have a picnic shelter with plenty of picnic tables. We have a playground for the kids. We have horse shoe pits, volley ball net, tether ball, huge area to play football, play catch, etc. We have a very beautiful hiking trail to walk and enjoy the wildlife. The most important reason to camp at RIVERBEND is to enjoy The Rifle River!!!! Be sure to rent a canoe, kayak, or tubes and go out for a peaceful & relaxing trip down the Scenic Rifle River. We transport all of our customers to and from the drop-off points for the river trips on a school bus. All of our equipment is well maintained and has passed all required state inspections. You do not have to camp here in order to rent our canoes, kayaks, or tubes. We welcome the public to join us for a river trip. At Riverbend Campground, there is so much to do. Tubing, Kayak, and even Canoe. So leave all the stress at your front door, and come enjoy the outdoors and eat some s'mores!!! Here at Riverbend you have many options on how to best experience the outdoors and make it memorable for you. From kayaking, canoeing, tubing, RV camping, and even tent camping. Have fun along the historic Rifle River which flows through our 32 acre campground in Omer, Michigan. We have about 100 camp sites to select from. The Rifle River was converted from a logging area into its present recreational usage for its preservation. Not only that… Instead of destroying it, why not enjoy its natural beauty and help in its preservation? As our previous guests have attested to, not only would the entire experience be enjoyable to the outdoor lovers, but for everyone. Even those who experienced kayaking and canoeing for the first time thought the experience would be scary but they were never more wrong, they agreed. They would want to experience the thrill again if given the chance. For those who have tried tubing in other areas, they agreed it’s a unique experience to enjoy it along the Rifle River. In fact, many believe that it’s much more fun along the Rifle River compared to other areas they have been to. Hurry folks! Come visit us at Riverbend Campground to experience the thrills like no other you have experienced before. You can do kayaking, canoeing, tubing, RV camping, and tent camping to your heart’s desire. Have fun in Omer, Michigan. (MICHIGAN’S SMALLEST CITY) Hope to see you soon!